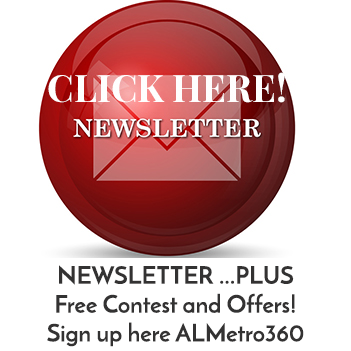 ALMetro360 Magazine targets and reaches an affluent “Heart of Alabama” market — specifically, discerning individuals through subscriber and targeted mail distribution to our subscriber and VIP mail list. ALMetro360 is also distributed at over 400 key locations in the “Heart of Alabama” (Montgomery, Auburn/Opelika, Prattville, Pike Road, Wetumpka, Millbrook and Tallassee). ALMetro360 is the regions only glossy Lifestyle and Business magazine with this broad distribution capability. Designed, edited and produced to appeal to these educated, involved individuals, the lifestyle-enhancement editorial of ALMetro360 focuses sharply on the business and active leisure pursuits of our informed readership who are at the forefront in social and business circles and who influence a wide variety of social, charitable and business categories. Within the magazine’s eclectic editorial mix are timely, informative features of particular appeal to the Heart of Alabama audience: watches, fashion, jewelry, automobiles, wine, spirits, wealth management, and popular outdoor activities such as golfing, angling, luxury travel and hunting.